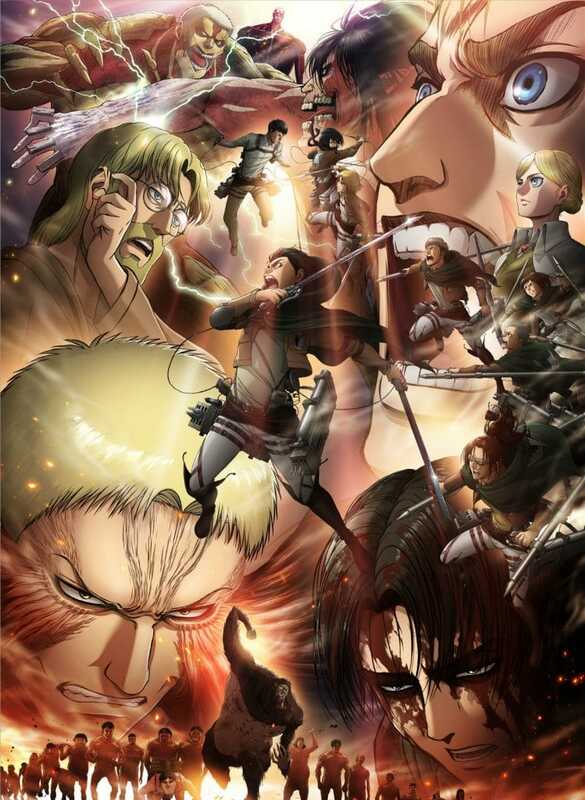 Updated April 16, 2019: Added Adult Swim air date for AoT S3 Part 2 and additional information related to Attack On Titan Season 4. Updated March 27, 2019: Added exact release date for Part 2 of the third season, Part 2 key visual, and a video explaining why Part 2 is not considered Attack On Titan Season 4. Updated miscellaneous manga details and spoilers. Updated December 3, 2018: Added final panel of the Attack On Titan manga, a related video, and quotes from the creator. Updated November 14, 2018: Added confirmation that the manga is entering its final story arc and how that affects Attack On Titan Season 4. Added interview about differences between the third season and the manga. The Attack On Titan Season 4 release date is certain to be highly anticipated since the fourth season of the Shingeki no Kyojin anime adaptation will finally reveal the secrets of the larger world. Eren Yeager, Mikasa Ackerman, Armin Arlert, and Levi Ackerman will be taking to war against an overseas foe after discovering Grisha Yeager’s journals in Eren’s father’s basement in the Shiganshina district. 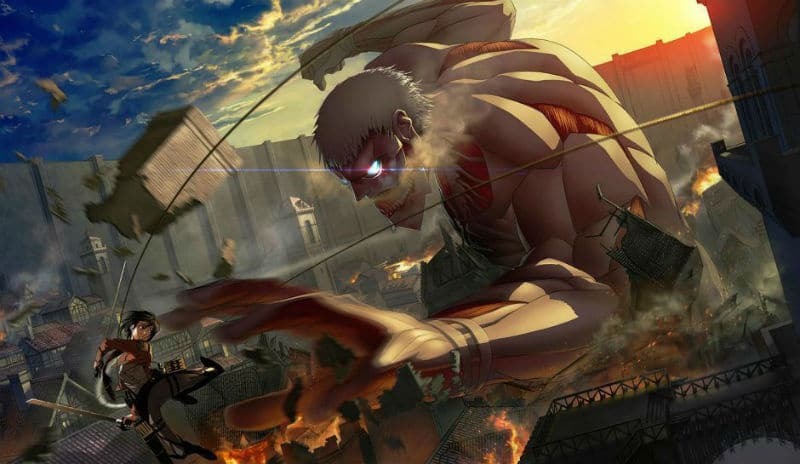 Audiences may be surprised by what the Survey Corps finds on the other side of the ocean, and may think this story has the potential to go on endlessly, but the 800-ton Titan sitting quietly in the corner is the fact that the story the anime adaptation is based upon is swiftly reaching an ending. So, will the fourth season leave room for Attack On Titan Season 5 or will it be the final season of the series? The story is based on the Shingeki no Kyojin manga by creator Hajime Isayama. Since 2009, the mangaka has released one chapter around the 8th of each month, with each chapter being about 45 pages long. To put both the manga and the anime adaptation into perspective, most of the events of Season 2 were already shown in manga chapters released way back in 2013. The hardcover tankobon format book volumes usually come with four chapters each and as of August 2018, the manga series was up to Volume 26. 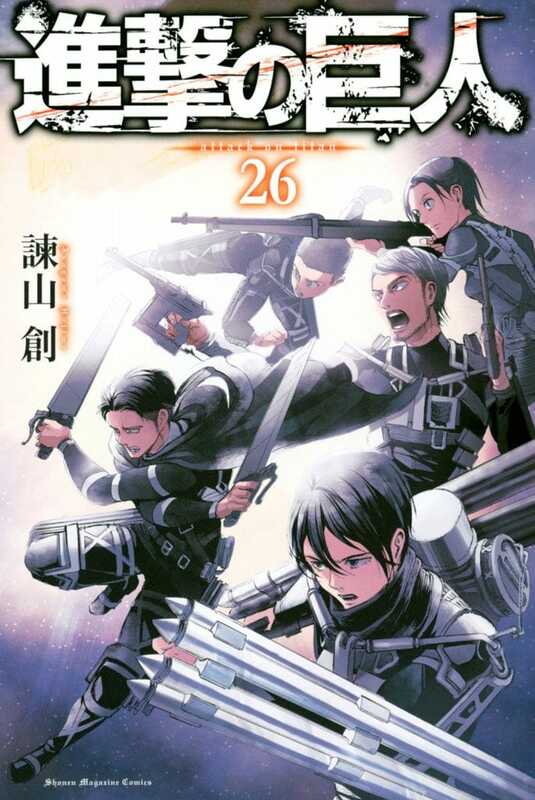 Attack On Titan Volume 27 is scheduled to release on April 2, 2019. The English translation by publisher Kodansha USA historically tends to come out within several months of the Japanese release. As of December 2018, the English Volume 26 is already out and Volume 27 is scheduled to come out on April 9, 2019. The third season of the anime adaptation is currently on hiatus. The second half, AoT Season 3 Part 2, will return on April 29, 2019. Adult Swim will begin airing the new episodes starting May 25, 2019. See below for more details. This article provides everything that is known about Attack On Titan Season 4 and all related news. As such, this article will be updated over time with news, rumors, and analysis. Meanwhile, let’s delve down into what is known for certain. For years now, fans have known that the ending of the Attack On Titan manga series was coming. Back in 2015, Isayama estimated that he was about 60 percent done when Volume 16 released. While there is no set date for the manga’s ending, the publisher later confirmed that the manga had around three years left in it, which means probably means 2019 unless the story goes longer than expected. Fast forward to December 2017 and the mangaka had reached Chapter 100. Isayama said in a blog post that he had started putting thought into exactly how he wanted to end Attack On Titan. He also mentioned that people kept asking him whether the story had been deliberately stretched out. Warning: The following paragraph contains minor spoilers. By June 2018, manga fans knew the real answer. Starting with Attack On Titan Chapter 106 and 107, Isayama has slowly begun filling in the time gap by showing what happened from the perspective of the Survey Corps. However, flashbacks won’t delay Attack On Titan’s ending indefinitely. In a May 2018 interview with NHK Japan, Isayama confirmed that he had already mapped out the manga’s ending. By November 2018, MBS’ Jonetsu Tairku documentary announced that the manga was indeed entering its final story arc. Isayama has not revealed the chapter number for the ending, or whether the final chapter will release in 2019, but he has stated in the past that he hopes to finish the SnK manga quickly for the sake of the work itself. Assuming that Isayama keeps this promise before the end of 2019, that means the fourth season will likely be the final season assuming the anime adaptation finishes off with two cours composed of 24 episodes. However, there could be room for Attack On Titan Season 5 if the final story arcs are broken up (and not a split cour like the third season). As for Isayama’s future, he’s worried about meeting the expectations of fans. The manga artist frequently speaks about how tired he has become working all night to meet deadlines. He does have an idea for what he wants to draw after Attack On Titan’s ending, but he’s uncertain if he’ll want to create it. “I might not be able to draw it. It’s probably more likely that I won’t be able to. I wonder if I’ll have it in me to continue,” he said. The first cour of Season 1 adapted 20 chapters, while the second cour adapted 16 chapters with 12 episodes. Similarly, the Clash of the Titans story arc of Season 2 was a ratio of 16 chapters to 12 episodes. Without getting into spoilers, Attack On Titan Season 3 attempted to adapt two story arcs composed of 20 chapters each. 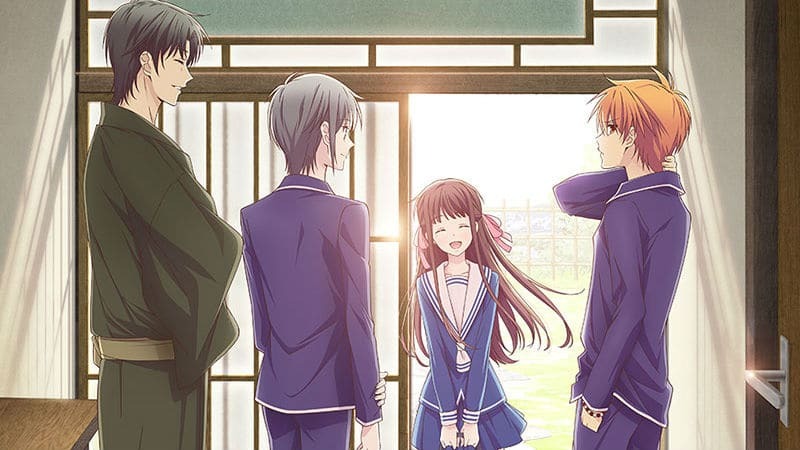 Therefore, the third season adapted the chapters at a rapid pace compared to the second season. Well before the anime aired, it was known that Wit Studios would change the Uprising manga story arc being covered by Attack On Titan Season 3. 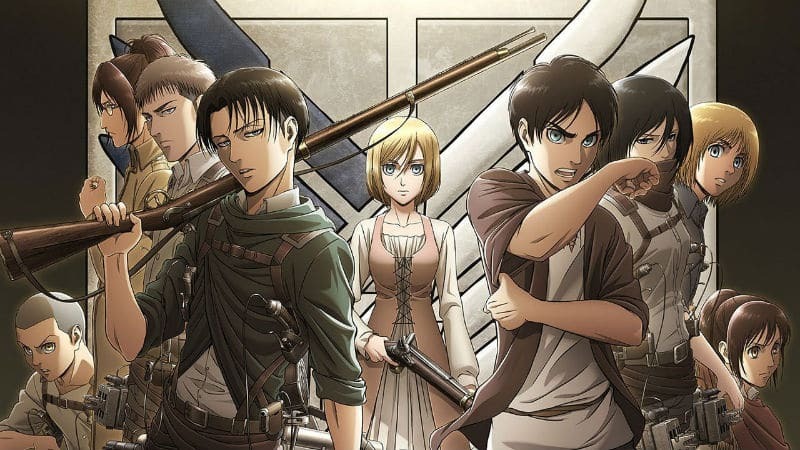 In an interview published in the Season 2 Blu-Ray box set, manga author Isayama Hajime revealed that he was “disappointed” with his own work in the manga volumes that covered the events of the Uprising story arc. That meant Shingeki no Kyojin Season 3 is significantly different from the manga. Based on a recent blog post from Isayama, it was revealed that the overall story remained the same, but how it was executed and the ordering of events changed. Finally, the Attack On Titan creator thanked director Araki Tetsuro for bringing “together guidelines for the overall production … as well as all members who participated in the production.” Back in June 2018, Araki had already discussed how Studio Wit planned on changing the structure of the third season. The November 2018 issue of Pash! featured an interview with screenwriter Kobayashi Yasuko where he dived into the changes. Kobayashi says “the first episode’s presentation was completely produced in accordance with Isayama-sensei’s wishes. 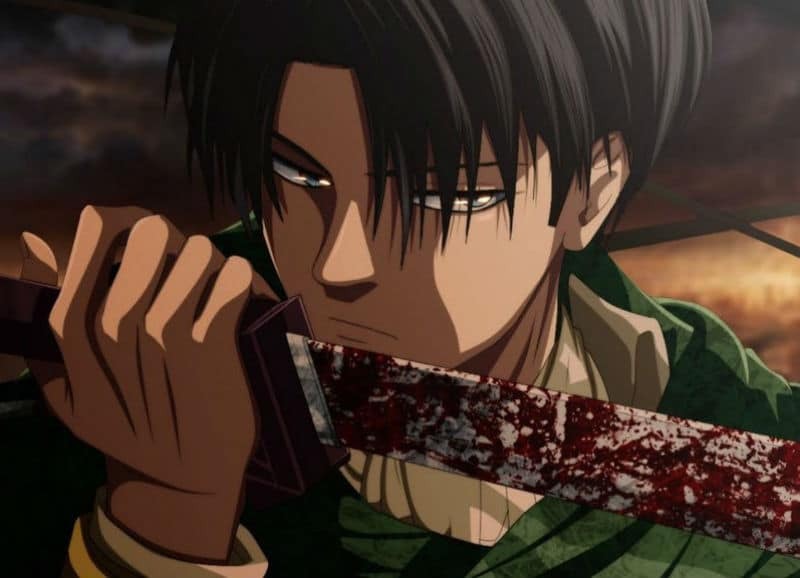 The timeline, setting, and contents were all courageously reshaped.” In later episodes, extra action sequences involving Levi and Kenny were added, as well. But the biggest change was the characterization of the revolution itself. The Uprising story arc originally showed how human society pushed the royalty out, not just the military. But the anime version left out the alliance between Levi and Dimo Reeves. In the manga, Dimo Reeves was also the person to utter the line, “Give him a punch after you become queen.” Since the anime had already killed the character off by then, that line was given to Mikasa. Attack On Titan Season 3 is going to be longer, but when the second cour release? Attack On Titan Season 4 Release Date: Will There Be Another Long Wait? As of the last update, Studio Wit or any company related to the production of the anime has not officially confirmed the Attack On Titan Season 4 release date. Nor has the production of a sequel been announced. Once the news is officially confirmed this article will be updated with the relevant information. In the meantime, it’s possible to speculate about when, or if, the Shingeki no Kyojin Season 4 premiere date will occur in the future. Shingeki no Kyojin S3 began airing on July 22, 2018. It is believed that Attack On Titan Season 3 will be a two-cour season and run for 24 episodes. The official website has confirmed that the third season will be two cours, but they have not yet officially announced the total number of episodes. However, the first half was 12 episodes, so Part 2 will likely be the same. The third season was confirmed to be a split-cour anime season, which is when a single season takes a multi-month break before renewing broadcasting. In this case, the second half of the third season will begin airing April 28, 2019, during the spring anime season. Therefore, the Attack On Titan Season 4 release date will definitely be in 2020 or beyond. It is possible that Episode 24 of the third season will conclude by announcing the fourth season. If that happy event does not occur, Studio Wit may be waiting on manga creator Isayama to reach a final ending for the manga series. If that is indeed the case, then anime fans need not wait too long. By time AoT S3 Part 2 airs in April 2019, the monthly manga will be up to Attack On Titan Chapter 116 and the manga is in its final story arc. Based on the information available during the premiere, the third season will likely find an ending somewhere around Chapter 90 (Volume 22). It could be argued that this stopping point will give Studio Wit over 25 chapters to work with for producing Attack On Titan Season 4, which is more than enough for a single-cour season, but it’s unknown if the final chapters of Volume 27 will provide a good stopping point for the fourth season that provides a semblance of closure to the current story arc. Unfortunately, if the manga finds an ending that’s closer to Chapter 124 through 130, that adds more than a year of waiting. As previously mentioned, it’s possible the manga could leave room for Attack On Titan Season 5, but that scenario depends on whether there is a good stopping point in the final manga story arc by that time. If Isayama intends on finishing the manga with a long, final story arc, then Wit Studio’s plan might be to produce SnK Season 4 with two cours, which probably means fans must wait until at least 2020 or 2021. Note: Attack On Titan Season 3 Episode 12, Night of the Battle to Retake the Wall, has the same title as manga Chapter 72. The following spoilers for Attack On Titan Season 4 assume that the ending of the third season will correspond to Chapter 90 of the manga. This article will be updated once the final episodes air in Japan. One year after the battle of Trost district, the Survey Corps finally set about beyond Wall Maria for the first time in several years. They find the ocean in the year 851, reaching the border of Paradis Island. While others played out scenes from the inevitable anime beach episode, Eren is focused only on killing enemies across the sea. The secrets inside Eren’s basement proved that the true history of the walled world is about as flip-flopped as anyone might guess. 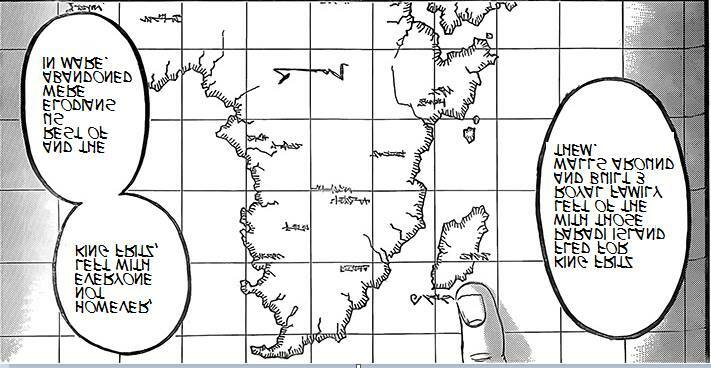 The Eldia world map is based upon a reversed Madagascar and Africa and it turns out Paradis is simply an isolated fraction of humanity. The empire of Marley was created during the Great Titan War when the Marleyans rose up against Eldia and expunged the Eldians from all of the territories except for Paradis Island. The highest authority in the nation is the Tybur family, Eldian nobles who sided with Marley during the Great Titan War. Marley sent Warriors into Paradis to recover the Coordinate, but after that failure Marley officially declares war on Paradis in the year 854. What’s more, the rest of the humanity is at war with each other, as well. The beginning of Attack On Titan Season 4 will open by presenting to anime audiences the viewpoint of the Warriors of Marley. For the last four years, they have been battling against the Mid-East Allied Forces, a coalition of territories located in areas physically similar to a reversed real-life India or Arabian Peninsula. The Mid-East Allied Forces had declared war when Marley lost the Colossus Titan and the Female Titan thanks to Eren and his friends. Marley had other Titan types to spare, but the Allied Forces had anti-Titan artillery, machine guns, Naval dreadnoughts, and other military hardware. 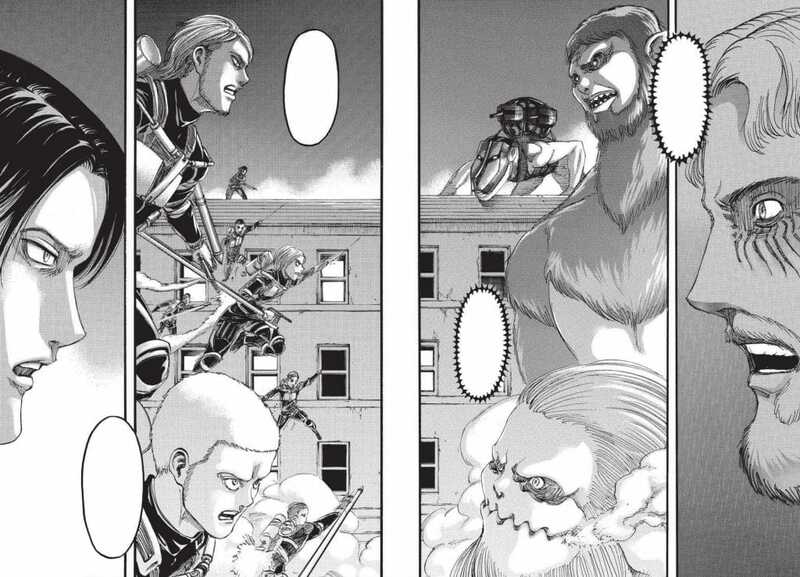 But Reiner Braun’s Armored Titan and Zeke Yeager’s Beast Titan intend on taking a stronghold called Fort Slava in order to put an end to this war. And they do it in dramatic fashion by taking a zeppelin and raining Titans down from on high. While the four-year war is brought to an end, the fact that weapons capable of harming the Warriors’ Titan exist means the age of relying only on Titan power is coming to an end. Meanwhile, Marley’s forces have realized that every ship sent to Paradis Island has been destroyed, which means that Paradis must be in control of at least several Titans: the Founding Titan, the Attack Titan, the Colossus Titan, and the Female Titan. Besides developing more conventional weaponry to retain their strategic advantage, Zeke recommends to the Marleyan military that seizing the power of Eren’s Founding Titan become a military imperative. It is believed that Paradis Island must be crushed because they are a threat to the rest of the world. The story also follows Reiner as he meets with children who are Warrior candidates. Reiner regales them with tales of living among the devils of Paradis Island. Audiences will be introduced to Falco, a candidate for inheriting the Armored Titan from Reiner. Falco becomes suspicious of Reiner because of the older man’s behavior and the fact that he described the people of Paradis Island as being just “different” rather than fully evil as Marley’s propaganda would suggest. Marley’s military is entrusting the power of Titans to children who go through intense training. Through many flashback sequences, audiences will also get to see the childhoods of Reiner, Bertolt, Annie, and Marcel and see why they are so motivated by hatred toward the people of Paradis Island. The anime will also show the attack on Wall Maria, which led to the death of Eren’s mother, and the subsequent military training with Eren from the perspective of the four Marleyans. While the opening episodes of Attack On Titan Season 4 will be mostly about backstory and developing the Marleyan characters, the action will finally start to heat up when Eren successfully infiltrates a Marley city called Liberio with the help of an unwitting Falco. Eren meets a shocked Reiner and both of them talk openly of their beliefs regarding the world they live in. With both men’s motivations and beliefs laid bare, Eren proceeds to transform into the Attack Titan and kill Marleyan citizens, including children, who had gathered for a speech. The surprise attack turns into a battle against the War Hammer Titan, one of the Nine Titans capable of creating weapons and structures out of hardened Titan flesh. 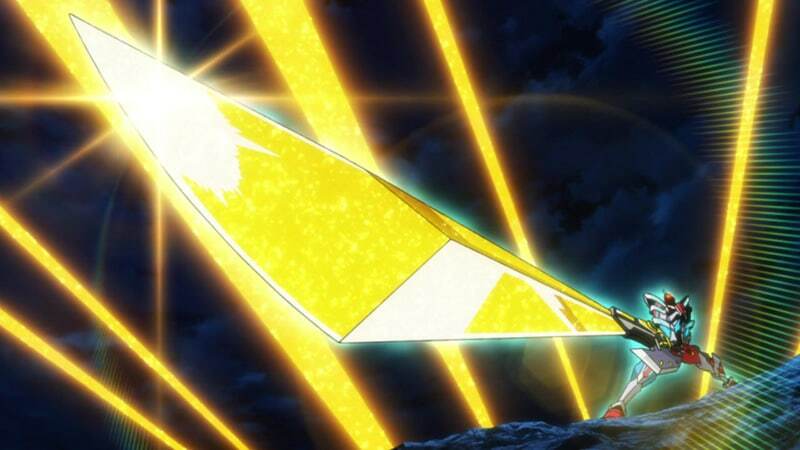 Mikasa joins the fight armed with thunder spears and other members of the Survey Corps, including Levi, attack using anti-personnel vertical maneuvering equipment. The battle quickly escalates into a full-out war between the Survey Corps and Marley’s Warriors. The Survey Corps has a grand plan for taking on Marley and the rest of the world to secure the future for the hated Eldian race. Attack On Titan Chapter 115 ended on a huge cliffhanger involving fan-favorite character Levi. There have also been several more huge revelations, including a new type of healer character who is able to bring another character back from the dead. Unfortunately, anime audiences will have to wait until the Attack On Titan Season 4 release date happens to see how the story goes. Stay tuned!